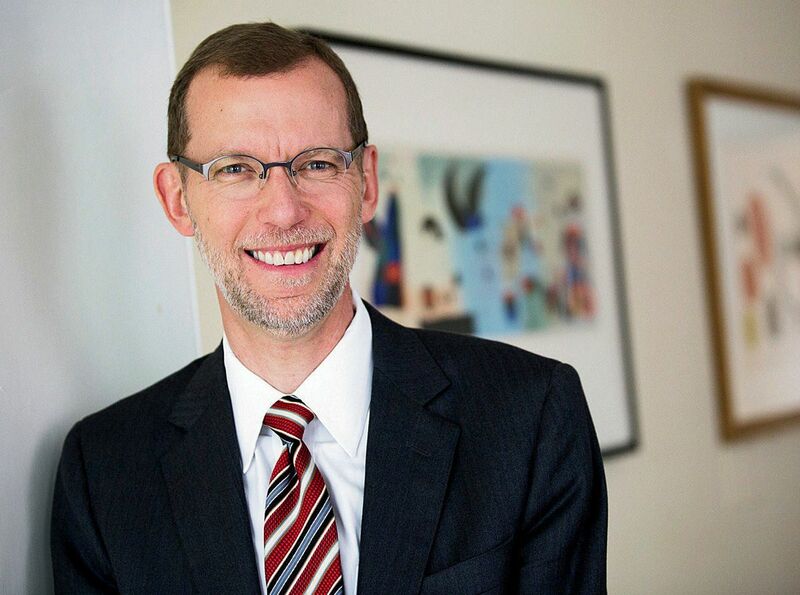 Douglas W. Elmendorf, Ph.D. ’89, who concluded his service as director of the U.S. Congressional Budget Office (CBO) last March, has been named dean of the Harvard Kennedy School, effective in January. A macroeconomist, Elmendorf was an assistant professor at Harvard from 1989 until 1994, before serving on the staffs of the CBO, Federal Reserve Board, Council of Economic Advisors, and U.S. Treasury Department. He had a second tour of duty at the Fed, was a senior fellow at the Brookings Institution, and then assumed leadership of the CBO in 2009. In a statement, the dean-designate said, “Together, we will honor and extend the school’s commitment to confronting hard problems in ways that enhance public policy and improve people’s lives.” Read a full account at harvardmag.com/elmendorf-15 . The Harvard Graduate School of Education has named Eric Shed and Stephen Mahoney director and associate director of the Harvard Teacher Fellows program, launching this fall to prepare interested undergraduates for teaching careers (see harvardmag.com/fellows-15 ). Shed, most recently at Brown University, was a New York City high-school teacher. Mahoney was previously founding principal of Springfield Renaissance School in western Massachusetts.…Through its new PK12 research initiative, MIT has partnered with the Woodrow Wilson National Fellowship program (its president, Arthur Levine, formerly led Teachers College, Columbia University) to offer online teacher training and master’s degrees. MIT’s participation derives from its engagement in the online edX venture, and its recent commitment to engage more deeply in elementary and secondary education. HarvardX research fellow Justin Reich departed in July to become executive director of PK12 and a research scientist in MIT’s office of digital learning. Houghton librarians, in a puckish mood, welcome visitors to Such a Curious Dream! (the sesquicentennial exhibition in honor of Alice’s Adventures in Wonderland) with a reproduction of the MBTA’s Blue Line subway route: it culminates at Wonderland Station. The treasures on display, through September 5 (online at hcl.harvard.edu/libraries/houghton/exhibits/alice ), range from versions in Greek and Pitman shorthand to Alice-themed blotter paper to hold doses of LSD—and the Harvard Lampoon’s wicked parody. Read more at harvardmag.com/alice-15 . The U.S. Supreme Court has decided to consider anew the most recent case on the use of race in higher-education institutions’ admissions decisions. Fisher v. University of Texas at Austin, decided in 2013, essentially addressed the scope of a lower court’s review of issues surrounding carefully tailored admissions programs in which race is considered as a factor, leaving prior rulings on the substance intact (see harvardmag.com/action-15 ). Now, it will hear a further challenge to the underlying policy in place at the University of Texas, raising the possibility that following arguments during its 2015 term, the court may limit or define more strictly consideration of race in admissions, or prohibit such consideration.…Separately, the U.S. Department of Education dismissed a complaint filed in May alleging that Harvard College discriminates against Asian-American applicants; the department cited a lawsuit filed against Harvard and the University of North Carolina last November, making similar claims (see Brevia , January-February, page 31), as the reason for its action. Given the pending review of Fisher, Harvard has moved to delay the November lawsuit. Harvard Corporation member James F. Rothenberg ’68, M.B.A. ’70—past University treasurer, and chair of the board of Harvard Management Company (which oversees the endowment)—died suddenly on June 21. A detailed report of his service appears at harvardmag.com/rothenberg-15 . Miscellany. With the departure of Thomas W. Lentz as director of the Harvard Art Museums, deputy director Maureen Donovan and Clay chief curator Deborah Kao are serving as interim co-directors.…Yosvany Terry has been appointed director of jazz ensembles and visiting senior lecturer in music, and Mark Olson has been promoted to director of the Harvard University Band and Wind Ensemble. The appointments fill the openings created when longtime director of bands Tom Everett retired two years ago.…Professor of landscape architecture Anita Berrizbeitia has been appointed chair of that Graduate School of Design department, and Diane Davis, Norton professor of regional planning and urbanism, has been appointed chair of the department of urban planning and design.…Margot Gill, formerly administrative dean of the Graduate School of Arts and Sciences, has been appointed administrative dean for international affairs, a new post within the Faculty of Arts and Sciences. She will serve as liaison with foreign governments, international corporations, foundations, and nonprofit organizations.…HBX, the Business School’s online-learning initiative, has unveiled HBX Courses, aimed at the executive-education and leadership-training market. The first is “Disruptive Strategy with Clayton Christensen,” Clark professor of business administration (profiled  in this magazine’s July-August 2014 cover story).